Kayleigh Sheehan is an arts administrator, consultant, and volunteer based in Halifax, Nova Scotia. She comes to Symphony Nova Scotia from Strategic Arts Management and the Nova Scotia Masterworks Awards Foundation, where she was proud to celebrate, support, and work with artists in diverse disciplines. 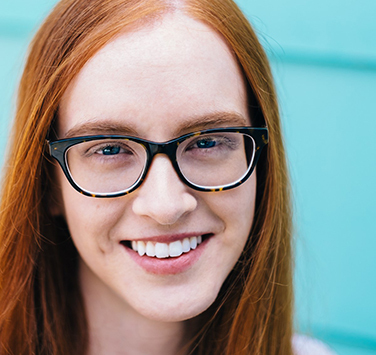 Kayleigh has worked with 2b theatre company (Associate Producer), Zuppa Theatre Co. (Associate Administrator), the Atlantic Film Festival (Box Office and Theatre Manager), and the Fountain School of Performing Arts at Dalhousie University (House Manager). She was a juror for the 2016 Theatre Nova Scotia Robert Merritt Awards. How long have you worked with Symphony Nova Scotia? The 2019/20 season will be my second with the Symphony. I’ll be continuing to create consistent, positive experiences for you in the office, at the Rebecca Cohn Auditorium, and beyond. Do you have a favourite Symphony experience? I’d love to hear about it! Email me your story, or come introduce yourself at a concert! I’m always at the Symphony boutique. Do you have any other jobs/volunteer jobs? Yes! When you see me at front of house at Symphony performances and wonder where you’ve seen me before, it could be a lot of places. I’ve been at front of house in Halifax for 10 years, from the Scotia Festival of Music to Live Art Dance to the Art Gallery of Nova Scotia. I like to volunteer and attend theatre and other events. What’s the best Symphony Nova Scotia concert you’ve seen? The 2012 collaboration with Gypsophilia is one of my favourites. Our Maritime Fusion concerts are a treat, whether you’re interested in the Symphony or one of our spectacular collaborators. This season, collaborators include Jeremy Dutcher (Oct. 17, 2019), Lennie Gallant (Mar. 6-7, 2020), and more! I tend to have opera in my head, most of which I learned as a stage manager, and most of which is Mozart. This season, join us for Magnificent Mozart (Jan. 16, 2020) with violinist Mark Djokic, or Opera Gala (Sep. 21, 2019) with soprano Renée Fleming. The blueberry muffins at Bird’s Nest on Barrington. It tends to be whatever I’m reading. Lately, that’s a lot of contemporary fiction – I Am Not Your Perfect Mexican Daughter (Sánchez), Goodbye, Vitamin (Khong), The Wonder (Donoghue), and Little Fires Everywhere (Ng). Take a walk. You’ll find me on Citadel Hill on most breaks from the Symphony office. What’s on your iPod (what are you listening to right now)? If we have a concert this week, I’m listening to that music in the office. If not, CBC Radio 2. Which concert are you looking forward to most this season? If I had to choose, I’d choose a U-Pick 4 ticket package so I could pick from each of our spectacular series: Inspiring Bach (Nov. 3, 2019), Mr and Mrs Schumann (Nov. 21, 2019), The Canadian Brass (Feb. 7-9, 2020), and Soul Sisters (May 8-9, 2020). I’d also go to all three of our Nova Scotia Youth Orchestra concerts – just $30 each, or $10 for students.